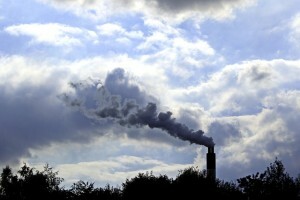 Does Exposure to Air Pollution Increase Dementia Risk? When it comes to decreasing the risk of developing dementia and Alzheimer’s Disease, everything from diet to exercise to socialization is considered a defense. While nutrition and regular physical activity are an excellent idea for men and women of any age, a factor that could increase Alzheimer’s risk may actually be lurking closer than you think: in the environment surrounding you. In the surprising findings of a recent Translational Psychiatry study, fossil fuel-related nanoparticles are said to travel directly to the brain through inhalation. This provokes a natural inflammatory response that may later morph into Alzheimer’s disease. The risk is increased for women who are genetically predisposed to developing Alzheimer’s. Further, researchers believe air pollution may account for about 21% of dementia cases. What can be done to mitigate exposure and safeguard loved ones from pollution with every breath of “fresh” air they inhale? Regular dusting, sweeping, vacuuming and mopping are essential to reducing or eliminating the culprit nanoparticles. While little can be done about the world outside the front door, carpets, walls and flat surfaces are easy to clean on a regular basis, even for those with limited mobility. Help air purifiers and heating, ventilation and air conditioning (HVAC) systems do their best by regularly inspecting, cleaning or replacing filters that have become too damaged or dirty to work well. If fresh air is desired, consider installing a window fan or even just a large air conditioner-style filter placed behind a standard box fan in a window. This extra step will keep incoming air clean – an important consideration for elderly individuals with breathing difficulties as well. For elderly individuals living at home rather than in a residential care facility, old or outdated fixtures inside can cause just as many issues as polluted air can outside. Ensure that carbon monoxide detectors are installed throughout the home for safety’s sake, and keep an eye on leaks. Even though water might be dripping from a pipe, water and damp environments can quickly turn into mold spores, which easily become airborne when they are disturbed. If gas or oil-burning heat is used in a home, check for leaks and replace filters regularly to ensure that no fossil fuel nanoparticles are actually being generated inside the house itself. Protect your loved ones by improving air quality at home and limiting their unprotected exposure to busy, fossil-fueled areas like city centers. You’ll breathe easier knowing they’re safe, and they’ll breathe easier because there won’t be any diesel fumes sullying their air supply.